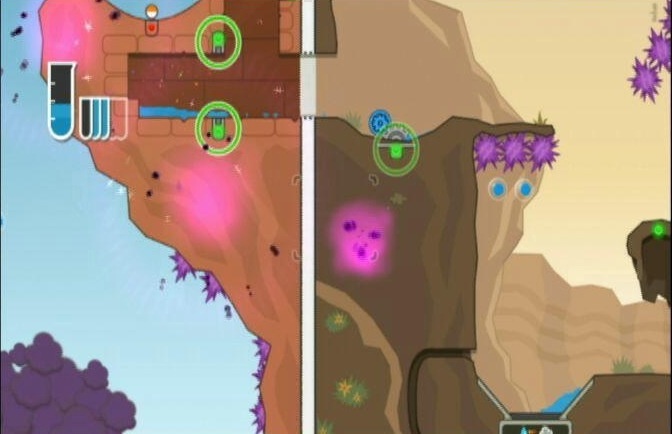 RE: is a series of features that revisits a game reviewed on SuperPhillip Central and talks about its highs and lows. It's important to note that these are not revisionist reviews. With this feature we've already looked back at New Super Mario Bros. Wii, Mario Kart Wii, and Banjo-Kazooie: Nuts and Bolts. Now it's time to take a look back at Super Smash Bros. Brawl, a game that couldn't compare to the massive hype it received. All screenshots were taken by me using the in-game camera tool and an SD card. 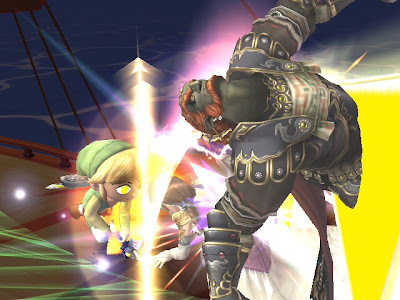 Nonetheless, Super Smash Bros. Brawl hit store shelves in March of 2008 in North America, and with it battles were raged online and off. There were multiple components in the game from the story-heavy Subspace Emissary to the rich multiplayer modes to the rich roster of Nintendo all-stars... and Wolf O'Donnell. The Subspace Emissary was a story-based affair where players tried to stop a being known as the Ancient Minister from turning Nintendo's stars into trophies. 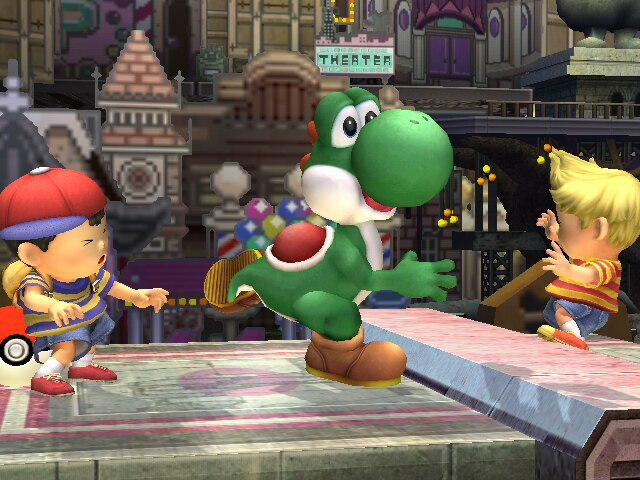 To do battle with the incoming threat, the characters of Smash Bros. Brawl must work together, playing through bland side-scrolling levels based on various locales from jungles to castles to mines. In-between the somewhat mediocre gameplay of the SSE, sometimes humorous, sometimes just plain awesome cutscenes would show Nintendo's all-stars mingling with one another like never before. Adding to the burden of the SSE, to be fair, this mode could be played cooperatively for a funner time, was the ending Great Maze-- a place where players needed to run through a labyrinth of doorways, passages, and boss battles to take down the evil Tabuu once and for all. While the mode was more enjoyable with a buddy to play along, the SSE still was a tad disappointing. The lack of memorable enemies, tedious levels, and uneventful battles led to a drawl experience overall. However, it still outperforms many a-game's sole story modes. I'm looking at you, Street Fighter 4. Additionally, there were a multitude of modes in Brawl from 100 men brawls to Classic mode which plays like your traditional Arcade mode in any other fighter to All-Star and Mission modes. Multiplayer is seriously where it's at, and unfortunately online was something of broken when wanting to search randomly for an opponent. This was never fixed, by the way. However, Wi-Fi with friends worked perfectly. I never found a reason to fight with someone I didn't know, so that did not bother me. Regardless of that, local multiplayer is where it's at with all the trash-talking, laughter, and enjoyment. 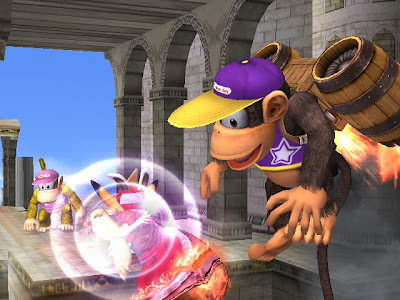 The game was stocked to the brim with characters, and this time when they knocked open a Smash Ball, they could perform a Final Smash attack, new to the series. 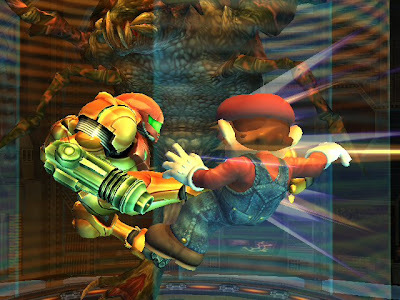 These Final Smashes were ultra-powerful attacks that could K.O. an opponent or group of assailants in one shot. For instance, Mario would unleash a flurry of fireballs from his fists to take out anyone foolish enough to stand in his way. Meanwhile, some Final Smashes were less than stellar. In fact, three characters shared one Final Smash, the Landmaster, which reeked of laziness. Would have hurt to have an Arwing Final Smash, Sakurai? Other than that minor problem, Final Smashes were an awesome addition to the series. For those of you unaware of how the Smash Bros. series works, it is unlike most fighting games. Instead of having a health bar that goes down, your character has a percentage that goes up each time he or she takes damage. The higher the damage, the more your character gets tossed around and can go off the screen. If your character gets knocked off the screen either above, below, or far to the left or right, that counts as a K.O. 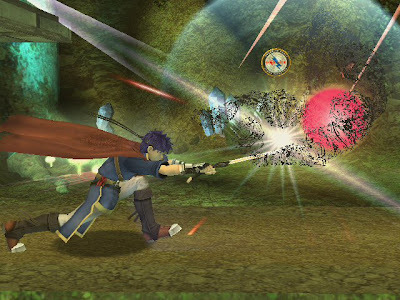 Smash is unlike other fighters as battles can be with up to four contenders, and items can be used from motion-sensor bombs to home run bats. Anything and everything can be used as a weapon. More alive than the characters themselves were the arenas players could fight in. There were a handful of past stages from Melee such as Pokemon Stadium 1, Onett, and Big Blue, plus there were a plethora of new arenas to do battle in from knocking Luigi's Mansion down to rubble to dishing out punishment on a Mario Kart track. Each stage was brimming with personality and obstacles to get in players' way like a hungry and menacing pillbug in Captain Olimar's stage to fast and lethal vehicles in Captain Falcon's Port Town stage. There were a couple of duds here and there such as Flat Zone 2 and Hannebow, but other than those, the stage creation and selection were top-notch. Even if you didn't like a single stage in Brawl, you could create your own, albeit simple arenas with Smash Bros. Brawl's level creation tool. If you're not doing that, you can always collect the 500+ trophies and stickers that showcase the history of Nintendo through figurines. The soundtrack of Brawl was unlike any other in the history of the industry. Never before had so many composers and arrangers leaped into one project to compose, arrange, and remix new versions of old themes from Mario to Zelda, Pokemon to Pikmin, and Kirby to F-Zero. All-in-all, there were over 100 new remixes and themes made by over fifty composers of the likes of Nobuo Uematsu, Motoi Sakuraba, and Yoko Shimomura. While not orchestrated, which is a shame, the music all the same sounded great with the high-quality synthesized music used. Brawl is a megaton higher in graphical quality than Melee. Yes, it's slower. Yes, there's tripping involved (which in my playthroughs happens less than 10% of the time). Yes, it's not Melee. If you want Melee, play Melee. The character models themselves are just gorgeous as are the sensational stages. There's little touches everywhere in backgrounds and foregrounds to make arenas feel extra special. Special effects like explosions and Final Smash attacks look incredible as well. There's something here for everyone, and it's all without much slowdown (only shows up when things get REALLY crazy). Overall, Super Smash Bros. Brawl may not have lived up to many fans' insane hype, but for me, it certainly did. The character roster is awesome with the inclusion of third party characters like Solid Snake and Sonic the Hedgehog. (Mario VS. Sonic? My inner child is brimming from ear-to-ear.). The arenas are well-crafted and full of fun, there's many modes to choose from, many collectibles to gather, and many hours of sitting in front of the television with your friends or relatives that you won't have time to breathe! Perhaps that's hyperbole, but you get my drift! Have a game that you'd love to see get the RE: treatment? Let me know in the comments section! Getting numbers from the NPD is like pulling teeth. It's difficult to do when the NPD won't open their collective mouth. Since now little in the way of numbers are revealed, and all SKUs are now bundled into one amalgamation, it's hard to be interested in sales results. The NPD group is just throwing scraps now. Well, we'll work with what we get. Numbers courtesy of NeoGAF. *NPD's monthly point-of-sale data reports on U.S. Games Industry Sales occurring from new physical purchases at retail which is the largest channel for games sales, but it does not represent 100% of industry sales; it does not account for consumer purchases made via digital distribution, used game sales, subscriptions, mobile game apps, rentals, or social network games. The Xbox 360 wins another month. In my jaded opinion, it's a combination of new Kinect users and people rebuying a 360 for the third time thanks to shoddy hardware production. The Wii sold 319,000 (all numbers are obviously rounded) which is a year-to-year drop of -32%. Meanwhile, the PS3 still struggles to get a footing in North America even with two exclusives making it on the top ten chart for the month (LittleBigPlanet 2 and DC Universe Online). Call of Duty: Black Ops reigns supreme (it only has, like, eighty different SKUs, so that's no surprise). Just Dance 2 grooves its way into second place which is impressive seeing as it is an exclusive game. Dance Central proves Kinect buyers are buying at least something in the wasteland known as Kinect software, and Michael Jackson lives on through gaming with his experience hitting the number eight spot. Perhaps overweight housewives are buying dance games to shrug some pounds off from the holidays? What is surprising this month to me is that no first-party Nintendo games are to be seen on this list. I would have thought Disney Epic Mickey or Donkey Kong Country Returns would have made the bottom half of the top ten sales chart. With that, there goes a ho-hum month of sales. Marvel VS. Capcom 3: Fate of Two Worlds released yesterday for the Xbox 360 and PlayStation 3. 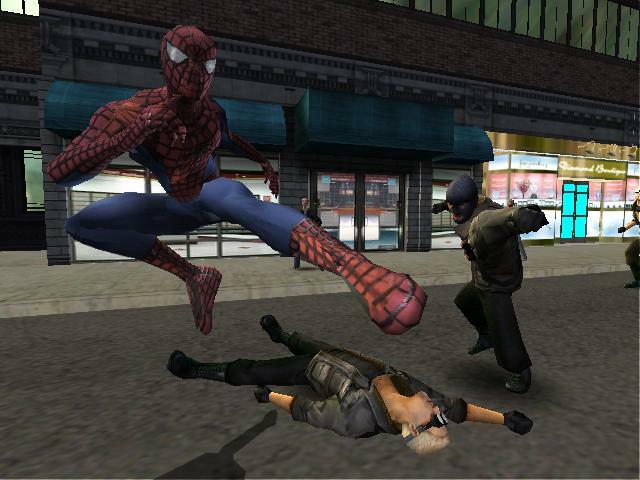 It features one of my favorite superheroes (besides SuperPhillip, of course), Spider-Man. Not only does he have cool superpowers such as web-slinging, web-shooting, and superhuman strength. He also has my favorite cast of supervillains from the Green Goblin and Hobgoblin to the Sandman and Rhino. This list features my top five favorite Spider-Man games of all time. Kicking off this abbreviated countdown is Spider-Man 2: Enter Electro for the original PlayStation. 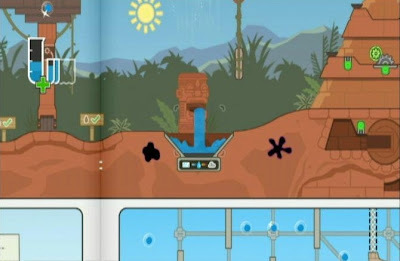 It featured the same level by level gameplay of the original albeit with less star power. When your biggest villain is Electro, you know you have a problem. 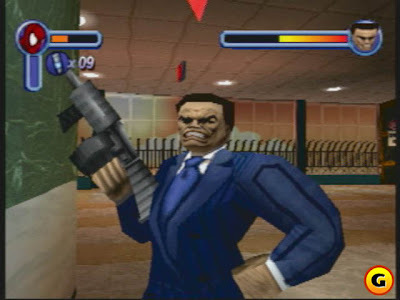 The game featured such supervillains as the Sandman and Hammerhead as well. The web-slinging was kept to indoor areas and small city arenas. 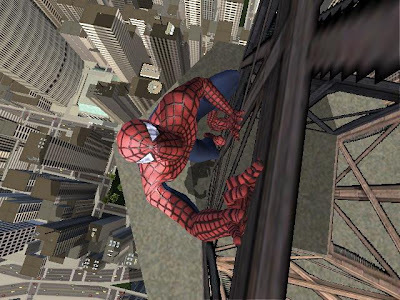 All-in-all, an adequate Spider-Man game, but nothing spectacular. Loosely following the storyline from the original Spider-Man movie starring the dreadful Tobey Maguire (to be fair, he sucked in the role of Spider-Man, not so much other roles). The cast of villains included the Shocker, the Vulture, the Scorpion, and of course, the Green Goblin himself. 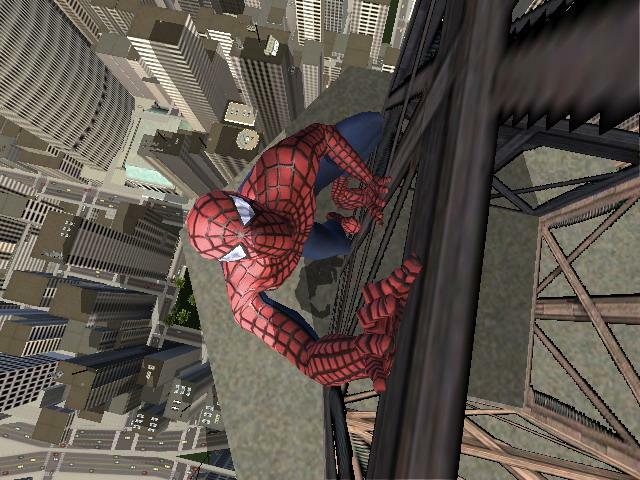 With high production values and the original voice actors playing their given parts, Spider-Man: The Movie is my second favorite Spider-Man game based off the less-than-stellar Sam Raimi trilogy of films. 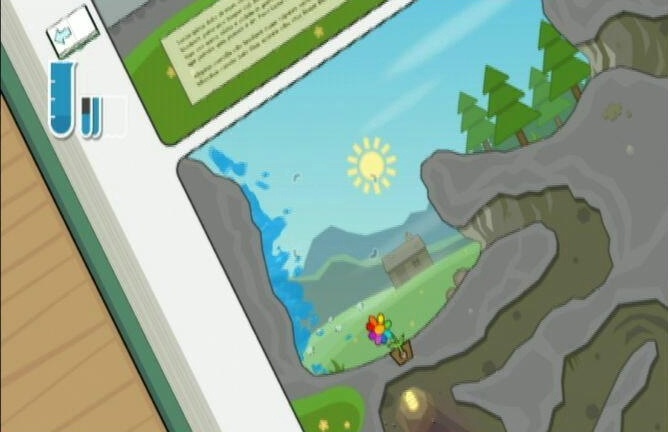 On the Nintendo 64, instead of cut-scenes, you received comic book style panels to advance the story. 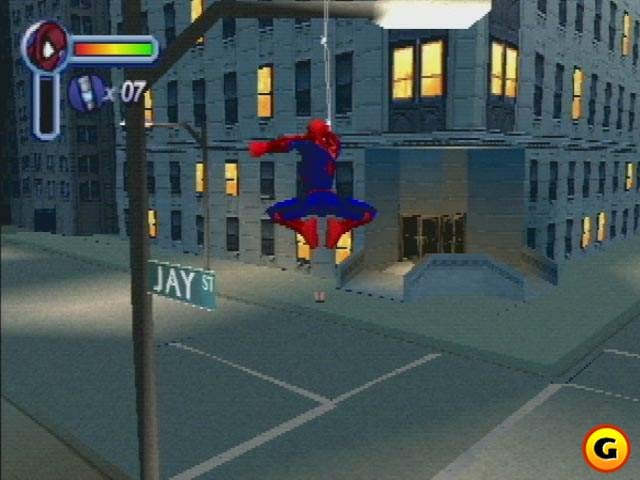 Regardless of that and graphical differences, Spider-Man for the three main consoles of the year 2000. Seems so long ago, doesn't it? 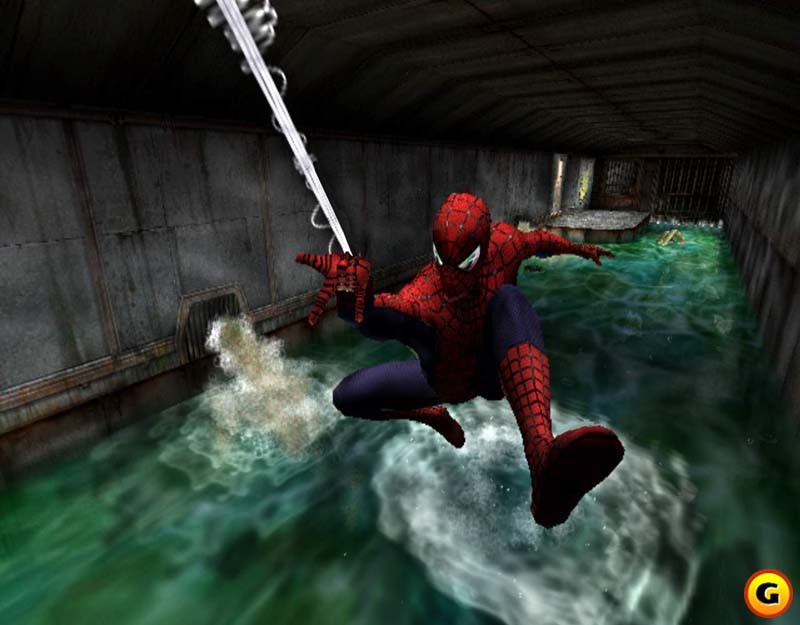 Regardless, Spider-Man was the first 3D video to get web-swinging and slinging right in the three dimensions. With an all-new storyline, a cast of supervillains like no other such as a symbiote-controlled Doc Ock final boss. 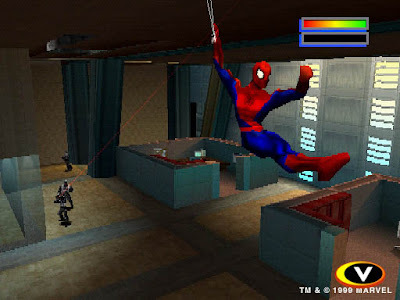 What makes this Spider-Man game special was that you felt, for the first time, you felt like you were actually Spider-Man in 3D! This was the first open-world sandbox Spider-Man game, and it was awesome. Featuring unique side-missions, hidden tokens to discover throughout New York along with a decent story to go with it. 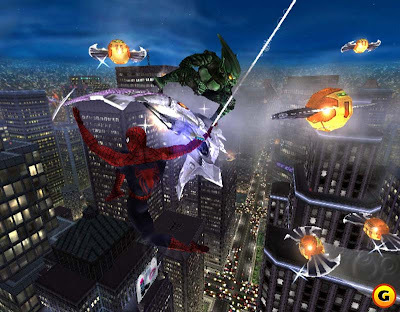 Mysterio, Shocker, Doctor Octopus, and the Rhino were the cavalcade of combatants for Spider-Man to take down in various venues. With an open-world setting allowing Spidey to swing like never before with impressive freedom, Spider-Man 2 is not just a fantastic superhero game, but it's a fantastic game in general. 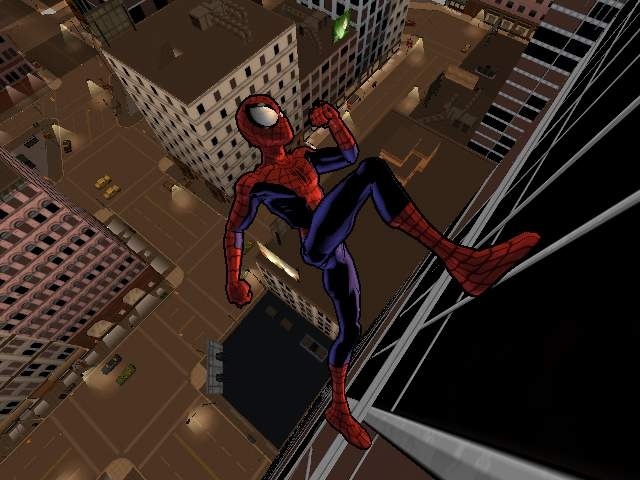 Based on the comic book line of the same way, the cel-shaded Ultimate Spider-Man is my favorite game of the web-slinger. 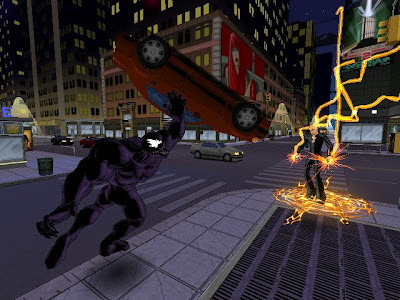 It boasts the same open-world sandbox gameplay of Spider-Man 2 (and Spider-Man 3, but we won't mention that game again), along with side-missions such as races against the Fantastic Four's Human Torch, battles with R.H.I.N.O., jobbers like the Shocker, fights with Venom (who you can also play as), Silver Sable, Beetle, Electro, and even the crazed Carnage. A beautiful game with plenty of bonus content even if the storyline itself is short, Ultimate Spider-Man is the ultimate wall-crawler experience in my book. 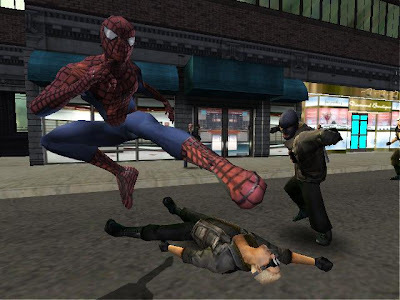 There goes my favorite Spidey games! Do you agree/disagree with my selection of web-crawler games? Let your opinion be known in our comments section. Love is in the air, but furthermore than that are my VGMs! Can you smell their golden goodness? Perhaps you'd rather listen to them instead! That's what this week is dedicated to-- well, just like every week on the VGMs. This go around we have remixes from Final Fantasy XI and Mega Man ZX, tracks from Bomberman 64: The Second Attack!, Jet Force Gemini, and we cap things off with Sonic Adventure 2. Are you ready to rumble? TBM stands for The Black Mages, a band founded by veteran Final Fantasy series composer, Nobuo Uematsu. This theme, Distant Worlds from Final Fantasy XI, comes from their third album, Darkness and Starlight. I particularly love near the end when the rock guitar pops in with its own take on the main melody. It's awesome, to be frank. Amano-san drew the wallpaper you see before you. He's the long-time veteran artist of the Final Fantasy series before that hack fetishist Nomura took over for the art. I'm still bitter if you can't tell. I'll be fine though. Just enjoy the song for me. Bomberman 64: The Second Story was my favorite of the three Bomberman games for the Nintendo 64. 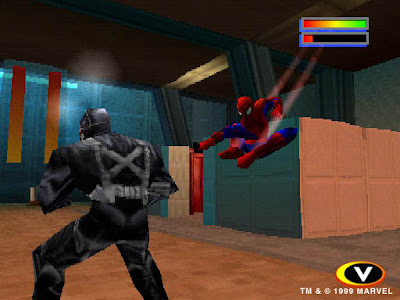 There were no dreaded bomb-jumping puzzles, and the game's unlockables were fun to acquire unlike other games. Score Attack is one of the many multiplayer modes in The Second Attack. The song is very tense, gets faster and faster, and ends with a satisfying conclusion-- just like Bomberman 64: The Second Attack! Cerulean is a cold desert planet in Jet Force Gemini. This is Vela's second planet that she embarks on. The Jet Force Gemini soundtrack is one of the most impressive technical feats on the Nintendo 64. The sound quality just sounds superb. Are you with me on this? Of course, you're with me! We're all friends here! I remember the final boss being one of the toughest I ever defeated. His attacks were so hard to avoid! Enough whining from me. Enjoy this wonderful track from Jet Force Gemini! Mega Man ZX was a Metroid-styled game. 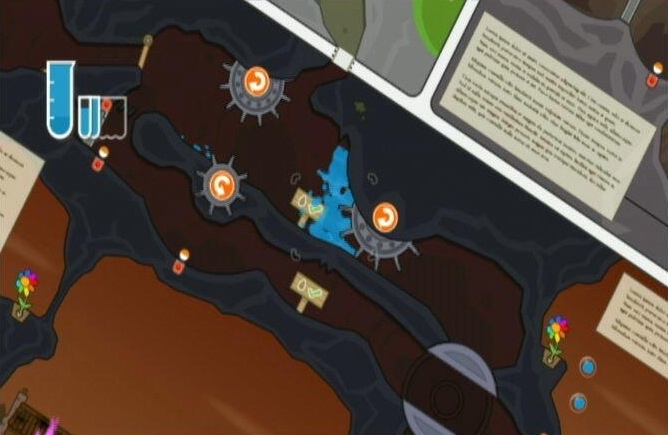 The map system, however, was super-confusing, so it was difficult to find your way around the many areas the game had to offer. In some regards, the original Mega Man ZX was a forgettable game. The sequel, though, was quite good, and I very much enjoyed it. Misty Rain is a haunting tune thanks to the female vocals. It's also got a great beat to it, and it's one of my favorite tracks from the game. This is the remixed version of Misty Rain, for those of you at home keeping score. Green Forest was Sonic's third level in Sonic Adventure 2. I never owned a Dreamcast, so I played the superior (how would I know) Gamecube version. Sonic Adventure 2 is infamous for introducing the Shadow character that split the fanbase. I even liked Shadow's own video game, though the gun part was just hilarious to me. Green Forest is a rockin' drum and guitar theme composed none other than by Jun Senoue. I really like his rock interpretations of Sonic music. Though his Sonic 4 music sucked hedgehog balls in my humble opinion! A kiss to all my fans on this wonderful Valentine's Day. Well, at least a platonic kiss, that is. You know what I mean, right? Creepy. Anyway, hope you liked what you heard today as next week we're blowing the roof off this joint. Stay tuned!